Amazon begins their Black Friday sale early like usual. New deals happening every 5 minutes. Black Friday is officially a week away and like the past few years Amazon has begun their sales early, changing Black Friday into Black Fri-week-long-sale-day that is a week early. So for the next week before the actual Black Friday, Amazon will have a bunch of Black Friday style deals going on, with new ones starting every 5 minutes. In other hardware news that doesn’t deal with plummeting through the sky to your death, Walmart has begun selling an Android smartphone that costs $10. Actually the exact price is $9.82, which depending on the sales tax in your area, is just over the $10 mark. Here in Las Vegas, that means it’ll cost around $10.60. With news coming out yesterday that the Forge TV is no longer for sale on Google’s Store, everyone has been speaking the inevitable doom of the company’s set-top box. We mentioned it didn’t make sense that after Razer’s purchase of Ouya that they would just simply let their Android TV initiative die and that perhaps they were getting ready for a new release for the Forge TV or another similar device. As it turns out, that could be exactly what they are doing. Vuzix has announced today that their iWear VR headset has won eight different International CES 2016 Innovation awards including two “Best Of” awards, one for gaming and one for Virtual Reality. With all the news lately revolving around other headsets like the Gear VR and Oculus Rift, it is always interesting to see other headsets out there holding their own. Have a Google Music subscription? If you do then you get a discount on buying games, movies and more. An interesting bit of news today that one of our readers stumbled upon. We are not exactly sure when this started, although it had to be pretty recently, but if you have a Google Music subscription, you will receive a discount when purchasing a game. This probably also works for applications and it also is confirmed to work on movies and music. Fedeen Games have been busy these days it seems, releasing a content update for Forsaken World Mobile, working on a new game, and now announcing Pocket Gothic. This particular game is a side-scrolling Action-RPG that features a blend of dark horror theme mixed with a slightly more cute anime look. This just means the characters have a bit more of a cute aesthetic to them, but the overall game’s theme is more of a dark horror type. At least that’s how it is being described. Recently it was announced that the Consumer Edition of the Samsung Gear VR headset would be hitting store shelves in the near future (November) and would cost a mere $100. Well pre-orders are now live for the new VR headset over on BestBuy as well as Samsung’s own website, and still for the mere $100 price tag as well. Meet FNAF World, the newest project from Scott Games. Here’s the first teaser trailer for it. Ahead of the last Five Nights at Freddy’s game’s launch, Scott Cawthon (a.k.a Scott Games) originally planned to release a demo build of a future game he would be working on once the Five Nights at Freddy’s series ended. Plans changed and the demo build ended up not ready for public consumption, but what Scott did do is release a teaser trailer for his next game called FNAF World. Back in August of this year we reported on a rather cool device called the Touchjet Wave. What this device does is turn your current HDTV into a giant touchscreen Android tablet basically. One of the issues some people pointed out was that this would lead to a ton of finger prints on your TV, especially with kids, even though you don’t actually have to touch the screen for it to register as a tap. Well it looks like Touchjet decided to make a new device that solves this problem called the Touchjet Pond. The Park isn’t the only newly release PC game to show up on Nvidia’s gaming-on-demand service called GeForce Now. 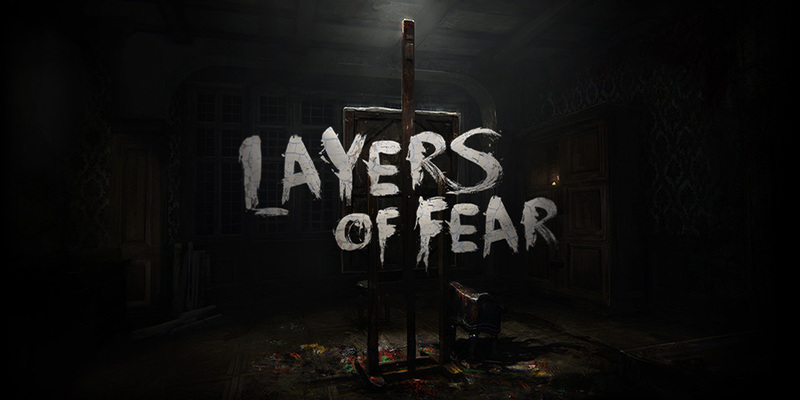 Layers of Fear is another newly added horror game for the Halloween holiday season that is now available on Nvidia Shield devices.